Tackling a re-roofing project for the first time can both exciting and frightening. On one hand, you want to visualize the look of your new roof. On the other hand, you have plenty of questions about this major remodel. 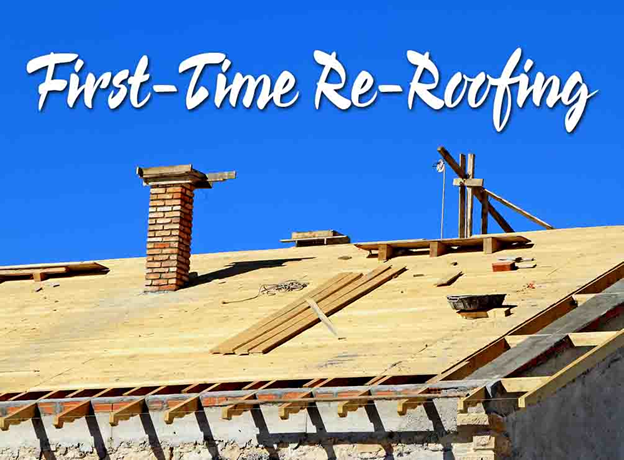 Re-roofing is a major investment, so you need to be sure it’s the right solution that you need. Signs like damaged shingles, leaks, and mold growth can signal a complete replacement. If you want to make sure, we can perform a thorough inspection to assess your roof’s actual condition. This way, you’d know if a roof repair in Knoxville, TN, would suffice to fix any existing damage and make it structurally sound. Our company has an A rating from the BBB, is a GAF Master Elite™ roofer, and carries an Elite Service Professional badge from HomeAdvisor. All these distinctions speak of our integrity. You can rest assured that we’ll provide you an honest assessment of your roof. Should I Use Insurance to Replace Damaged Roof? If extreme weather conditions caused damage to your roof, you can file for an insurance claim. Your policy spells out what your insurance covers, so review it again to see your entitlement. At Innovative Roofing and Siding, we’ll assist you with the process from start to finish. We’ll use our experience to make this often-complex procedure convenient on your part. Our familiarity with the necessary documentation is your key to getting the compensation that you deserve. Will Installation Take a Day? What About Clean Up? Most installation projects take a day if weather permits. If it will take more than one day, we will make sure to cover vulnerable areas so you stay protected from the elements. At the end of each project, we’ll make sure to clean up all debris. We will conduct a final walkthrough to make sure we’ve covered all areas. We won’t leave until you’re completely satisfied with the result. As an experienced roofing company in Knoxville, TN, we can ensure a stress-free home improvement project. We specialize in different solutions, including asphalt, metal, and slate, that will fit your needs and budget. If you have any questions about your roof replacement, call us today at (865) 444-6070, and we’ll be more than happy to assist you with your concerns.